E. Annie Proulx won the 1993 PEN/Faulkner Award for her novel Postcards and a Pulitzer Prize in 1994 for her next novel, The Shipping News. Edna Annie Proulx was born on August 22, 1935, in Norwich, Connecticut, the first of George Napoleon Proulx and Lois Nelly Gill Proulx's five children. Proulx's father was the vice president of a textile company. His family had come to the United States from Quebec, Canada. The family often moved to different places in New England and North Carolina because of her father's job. Her mother, a painter, encouraged her to notice everything around her. She was taught to observe the activities of ants and to notice every detail, the feeling of fabrics, and the unique parts of people's faces. Proulx attended Colby College in Maine briefly in the 1950s but left to work different jobs, including waiting tables and working at the post office. She received a bachelor's degree in history from the University of Vermont in 1969 and a master's degree from Sir George Williams University in Montreal, Canada, in 1973. She then began working toward her Ph.D. (an advanced degree beyond a master's degree), but in 1975 she abandoned the idea, thinking she would not be able to find a teaching job. Proulx told Contemporary Authors that she was "wild" during those years. Her third marriage broke up at around the same time. As a result, Proulx became a single parent to her three sons. "how-to" books, including Sweet & Hard Cider: Making It, Using It, and Enjoying It; The Fine Art of Salad Gardening; and Plan and Make Your Own Fences and Gates, Walkways, Walls and Drives. She also created her own newspaper, the Vershire Behind the Times, which existed from 1984 to 1986. She also found time to average two short stories a year, nearly all of which were published. In 1983 Proulx's career as a fiction writer was boosted by a notice in Best American Short Stories, an honor that was repeated in 1987. 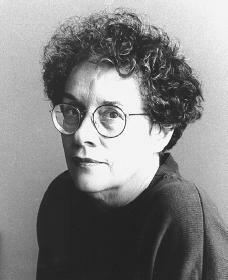 Proulx published her first book, Heart Songs and Other Stories, in 1988. Against the beautiful backdrop of the New England countryside, her stories involve the struggles of people trying to cope with their complicated lives. Proulx illustrates the stories with sharp descriptions, such as a man who eats a fish "as he would a slice of watermelon" or a woman who is as "thin as a folded dollar bill, her hand as narrow and cold as a trout." Editors that worked with Proulx on her short stories suggested that she try to write a novel. She came up with Postcards (1992), the story of a man from New England who flees the family farm after accidentally killing his bride-to-be. The passages involving the man's wanderings across the country come from Proulx's own trip across America while doing research. The book was a professional and personal success. Proulx became the first woman to receive the PEN/Faulkner Award for fiction, which came with a fifteen thousand dollar bonus. The very next year, Proulx capped this success by writing The Shipping News. A dark but comic tale set in Newfoundland, it is the story of an unlucky newspaper reporter named Quoyle. It is packed with details, all drawn in a vibrant (full of life) lively style. The book resulted in a steady stream of awards: first, the Heartland Prize from the Chicago Tribune, followed by the Irish Times International Award, and the National Book Award. These honors were all topped by the 1994 Pulitzer Prize for fiction. After becoming famous, Proulx found that she had less time to research and write. In 1994 she had short stories published in Atlantic Monthly and Esquire. She bought a second home in Newfoundland, and by the spring of 1995 she had moved to Wyoming. In researching her next novel, Proulx became an expert on accordion music. She studied not how to play the instrument, but how to take one apart and then rebuild it. Accordion Crimes, released in 1996, is about the music of immigrants and particularly about different kinds of accordion music. In 1999 Proulx released Close Range: Wyoming Stories, which won a book award from The New Yorker for best work of fiction. In 2001 The Shipping News was released as a film. Contemporary Authors. Vol. 145. Detroit: Gale, 1995. Contemporary Literary Criticism. Vol. 81: Year-book 1993. Detroit: Gale, 1994. New York Times (April 21, 1993).